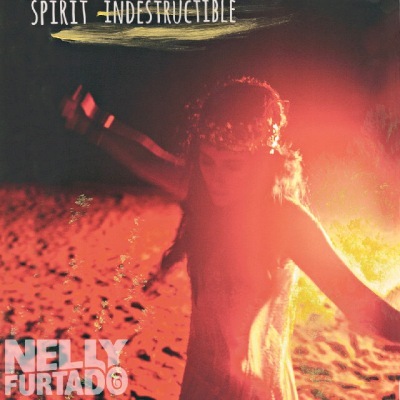 This album proved the opposite: the spirit definitely is destructible. This was the fifth studio album by Canadian singer-songwriter Nelly Furtado. Though she worked with a variety of well known producers including Darkchild (Rodney Jenkins), Salaam Remi (whom she had worked with previously), John Shanks and Tiesto, quite frankly The Spirit Indestructible tanked. It debuted at #79 in the U.S., #18 in Canada and #46 in the UK. Germany and Switzerland were the most kind (#3), Austria and Czechoslovakia gave her a top ten performance (at #8 and #6respectively). Chalk this one up to poor promotion. The singles released were Big Hoops (Bigger the Better), Spirit Indestructible, Parking Lot and Waiting for the Night. Despite the horrible performance, Furtado was still nominated for Pop Album of the Year award at the 2013 Juno Awards (Canada’s Grammys). Furtado lost to Carly Rae Jepson for Kiss. Rod Lauren was an American actor and singer. He was often on Alfred Hitchcock Presents and Gomer Pyle, U.S.M.C.. His most notable film was The Crawling Hand (1963) which was featured on Mystery Science Theatre 3000. In 1960, he became a one hit wonder when If I Had a Girl peaked at #31 on the Hot 100 chart. He performed twice on The Ed Sullivan Show. The interesting part of Lauren’s (real name Rod Lawrence Strunk) life is not his acting or music career. It is his marriage. From 1979 to 2001, Lauren (who was now going by his real name) was married to Nida Blanca, a leading Filipino actress. They met while filming Once Before I Die. On November 6, 2001, Blanca’s body was discovered in a parking lot of a San Juan City parking garage. She had been stabbed to death. Lauren (or Strunk) was the prime suspect. He moved back to the U.S. to fight extradition to the Philippines to face trial for the murder. (Other suspects were later charged.) Oddly, Lauren committed suicide on July 11, 2007, by jumping from a second floor balcony of the Tracy Inn in Tracy, California.